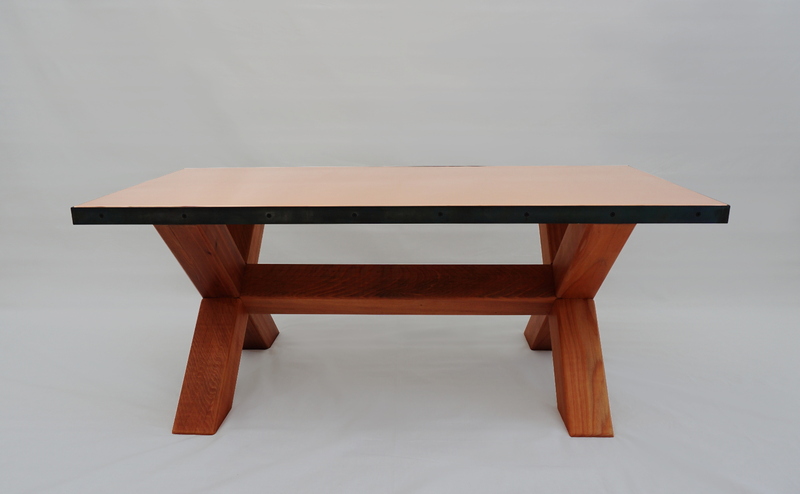 This beautiful, custom coffee table was hand crafted using copper, steel and redwood building materials. The purchaser requested a redwood coffee table and the artist was able to be creative with the design. 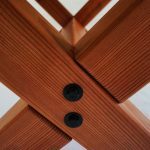 The base was made from Big Creek redwood and is finished with Danish oil which gives it a lasting finish but doesn’t diminish the feel of the wood’s grain. patina over time. The steel edges were darkened with a chemical that creates a dark purple/blue patina on steel.